We look at ahead to the 2018 off-season. Which players could be on the move? We round up Twitter's most undervalued and overvalued dynasty receivers. Will Vance Joseph lift a disappointing Broncos offense? We take a closer look at the Denver dynasty stars. 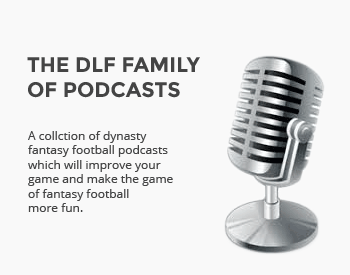 We bring you the latest pertinent dynasty news. Is it your last chance to acquire these stars? We choose the most undervalued dynasty assets. A dynasty look at the 2015 Denver Broncos. We analyze this week's injury report.